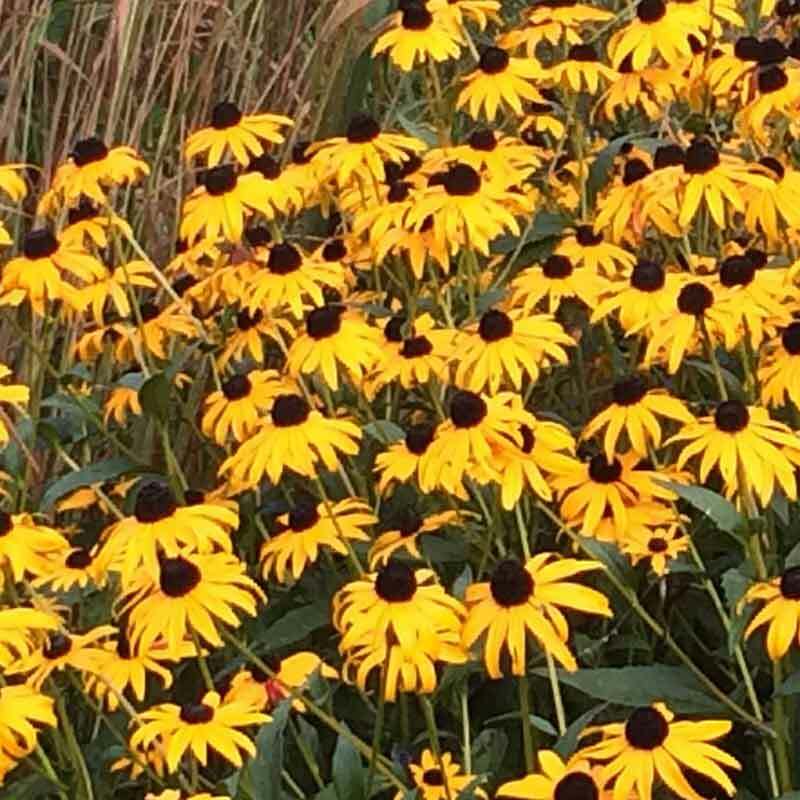 Shiny, deep green foliage and bright cheery-yellow flowers with a brown eye grow for weeks in summer. This native looks fantastic with ornamental grasses, as well as many other prairie-type plants. Excellent cut flower. Provides seeds in the winter for birds and is a good nectar plant that is visited by a host of butterflies and other insects. Full sun. Drought tolerant. Height 18-30″. Spread 2′. Zones 3-8.